From 1964 to 1968, the General Students’ Committee (AStA) of the Frankfurt Goethe University ran a gallery in the student building on the Bockenheim campus. Called the “Studiogalerie”, this establishment introduced the international avant-garde in art shows and events. The programme mirrored the latest trends in progressive, experimental art. Featuring paintings and objects of Light Art, Kinetic Art, Concrete Art, New Realism and Op Art, works of Hard-Edge and Colour Painting, but also Fluxus concerts and happenings, the exhibitions were conceived of as the students’ contribution to the democratization of art and society. Founded in 1964 with a spirit of optimism – the belief in art as a means of changing the world we live in –, the Studiogalerie discontinued its activities in 1968 within the context of the increasing radicalization of the student body. “Space for Art” retraces the history of the Studiogalerie. A 1967 show entitled “Serielle Formationen” is considered one of the highlights of that student initiative. It was the first ever to unite art by exponents of American Minimal Art, for example Donald Judd, Frank Stella and Sol LeWitt, with works by artists of the European avant-garde such as Jan Henderikse, Adolf Luther, Peter Roehr and Jan Schoonhoven. Cooperation with the Daimler Art Collection has now made it possible to present that legendary show in its essence. 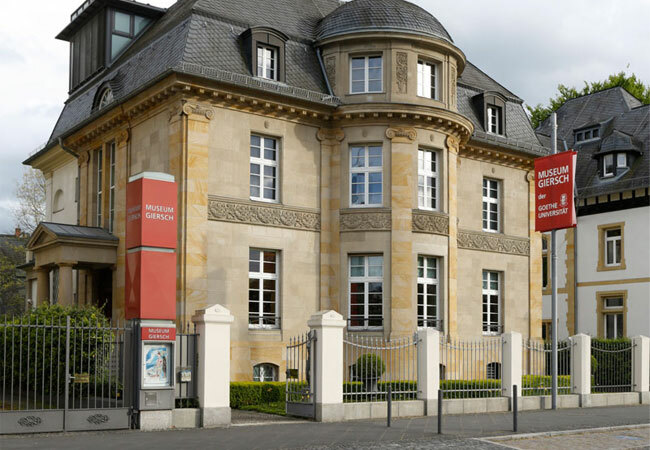 The exhibition on the Studiogalerie is the Museum Giersch’s art-historical contribution to “50 Jahre 68”, a Goethe University project commemorating the epoch-making year 1968 with numerous events.